Alison joined the Pensions and Lifetime Savings Association in April 2014. Alison has responsibility for the Business Development team, managing activity for the sale of the Association’s commercial products and services. Prior to joining the Association Alison was Head of Sales at the Chartered Institute of Public Finance. Previously she worked in management consultancy for a top 10 accountancy firm, designing and delivering large scale contracts in risk management, financial recovery, culture change, BPR and systems design. Kate is responsible for all events and training services delivered by the PLSA. She has over 20 years experience of successfully leading on complex, high profile events for the financial services and healthcare sectors, both in the UK and overseas. Mark is responsible for ensuring a high standard of financial management at the PLSA. This includes delivering effective budgets, forecasts and reporting that support decision-making by the Senior Management Team and the Board. He also develops and manages the organisation’s corporate planning processes. Mark manages all aspects of the Finance department, including accounting and tax, membership administration, banking, payroll, financial analysis, insurance and the annual audit. Mark joined the Pensions and Lifetime Savings Association in July 2015. Prior to this he was at the Natural History Museum and has worked in a broad range of financial roles across a variety of sectors, with previous organisations including The Hackett Group, LEGO, Sainsbury’s and Pilkington. Mark is a Chartered Management Accountant and has a degree in Finance & Accounting from the University of Warwick and an MBA from the University of Manchester. Nigel has over 15 years’ experience of pension policy work. 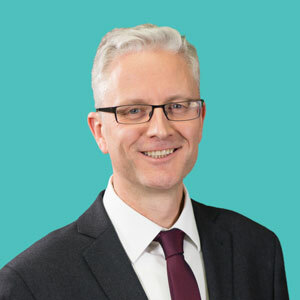 Most recently he worked at the Department for Work and Pensions as a Policy Fellow and prior to that he held roles as Head of Corporate Affairs and Director of Policy at the Pensions Regulator. He also acquired earlier pensions policy experience at the National Association of Pension Funds and the Association of British Insurers. Laura joined the Pensions and Lifetime Savings Association in June 2011. Laura heads up the membership department, leading on the Association’s recruitment and retention strategy, and keeping in-touch with membership by visiting members throughout the country year round. Prior to working at the Association Laura held senior membership roles at a number of organisations including the Faculty of Public Health and the Institute of Fundraising. Laura has degrees in English Literature and Language and in Law.